Carthy Accountants has doubled the size of its Eastgate Street offices with the acquisition of neighbouring office premises. Offices within the building have been reconfigured to allow space for bright, modern customer meeting rooms and new space will allow the company to press ahead with plans for its own training academy. The company is looking to take on up to three accountancy apprentices and an experienced training manager. Meanwhile, Laura Sant is joining the business after training and quailifying as a chartered accountant with PwC (PricewaterhouseCoopers). She worked in PwC’s Birmingham office for four years, specialising in global mobility. However, as the daughter of Managing Director Rupert Carthy and sister of Michael Carthy, the company’s Client Services Director, Laura is no stranger to Carthy Accountants. “We’re delighted to welcome Laura into the family firm,” said Michael. “She comes with experience of working with one of the “Big Four” international accountancy firms and joins our experienced team of accountants. 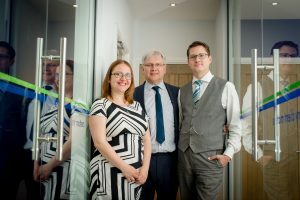 “Carthy Accountants is continuing to grow and this has allowed us to move forward with our office expansion and plans to train the next generation of accountants. “The new look is bright and airy with lots of open space and glass partitions. 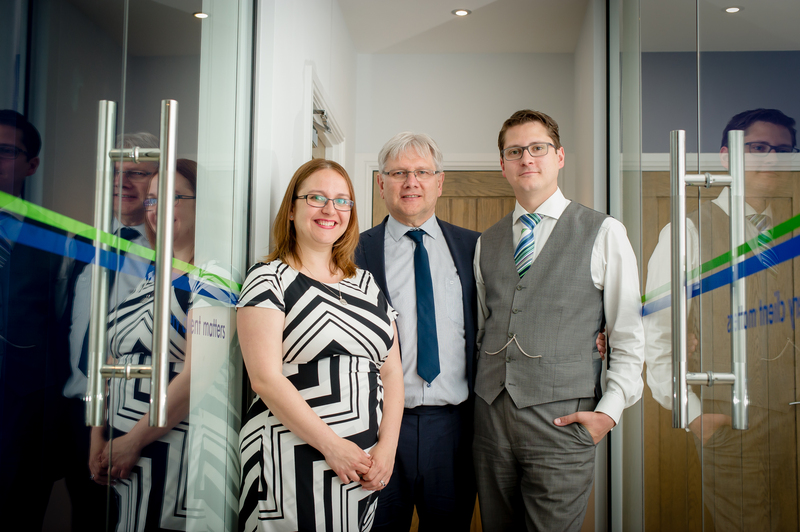 We believe it fits with the Carthy image of a modern accountancy practice where clients are welcome at any time. “Our ethos centres on providing a holistic service to clients, advising and working with them every step along the way as they build their business – we want to be there when the champagne corks pop as they celebrate success. Work is underway on the Riverside regeneration project which will see the creation of an 18-unit retail complex anchored by Marks and Spencer. For media enquiries please contact Nigel Howle by telephone on 0776 2043436 0r emailnigel.howle@howlecom.co.uk. Carthy Accountants was founded by Rupert Carthy in 2001 and has offices at 33 Eastgate Street, Stafford. The Nine-strong team provide a full accountancy service to businesses across Staffordshire and beyond. The experienced team was supplemented in 2014 when Client Services Director, Michael Carthy joined the family business.